The spice category of foods if often forgotten. Even the best organic foodies amongst us don’t include spices in our regular cooking. Let me tell, don’t skip out on nature’s farmacy. It’s time to talk about Thyme. There has been a large amount of research conducted thus far to explore the anti-cancer effects of certain phyto (plant)-chemical compounds found in powerful, natural herbs such as Thyme. The use of these bioactive compounds from medicinal plants to treat diseases has been utilized in traditional medicine throughout history. Thyme is a potent herbal remedy with a high capacity for therapeutic value in both western and alternative medicine. The word “Thyme” has two possible Greek origins. The first is “Thymon” meaning “to fumigate”, originating from its use throughout history as a powerful disinfectant. The second origin is “Thumon” indicating “courage” as Thyme was often associated with bravery and given as gifts to warriors. Thyme is an aromatic, perennial evergreen herb originating from the Mediterranean. It is a distant relative of Oregano. Today, there are over 300 species of Thyme that grow around the world and that are used widely in culinary and medicinal applications. In the Middle East, Thyme is still used in large quantities in regional culinary dishes to help prevent and reduce parasites (Marwat, 2011). The essential oil (EO) of Thyme vulgaris, or Common Thyme, is the most studied species of Thyme to date. What makes Thyme unique is that it has several different types of active chemical compounds within it that gives it its overall high level of therapeutic value. Thymol, the most potent compound in Thyme, is responsible for its strong antimicrobial and antioxidant properties. The numerous health benefits reaped from this herb means it is a great ingredient to add to your side dishes this holiday season! Cancer is a complex disease that occurs when the genes encoding our cells become damaged and mutated (from poor nutrition and chemicals). These cells then become “cancerous” as a result of the mutation, and can undergo uncontrolled proliferation (rapid growth) and evade apoptosis, which is an important and protective immune mechanism whereby targeted, diseased cells are programmed for cell death. Recent evidence has revealed plant-derived bioactive substances such as Thymol from Thyme (Thymus vulgaris L.) have well-established anticancer effects (Oliveria, 2017). Specifically, a study looking at Colorectal Cancer (CRC) found that Thyme was able to reduce the proliferation and growth of CRC cancer cells (Afnan, et al, 2015). It was also found to aid in increasing apoptosis (Afnan, et al, 2015). Treatment with another species of Thyme essential oil, Thymus broussonettii, was also associated with a concentration-dependent reduction in tumor volumes in mice with ovarian cancer tumors in vitro, while also fighting tumor cells that were resistant to chemotherapy (Ait M’Barek, 2007). Another novel study analyzed several essential oils and their cytotoxic effects on cancer cells (Zu, 2010). Cytotoxicity is the ability of a substance to be toxic to cells, such as cancer cells. The study revealed that of all the oils tested, Thyme oil was found to be the most cytotoxic to human prostate, lung and breast cancer cell lines (Zu, 2010), indicating its ability to be the most effective anticancer agent. In a separate study, Thymol was also found to exhibit increased cytotoxic effects against human lung cancer cells (Oliverio, 2016). Along the lines of cancer prevention, the essential oil of the Thyme herb has been correlated in many studies with high antioxidant activity. This means that it has the potential to help to prevent free radical damage, which has long been associated with aging and many human diseases such as cardiovascular disease (CVD) and Alzheimer’s disease (AD). Free radicals are molecules that usually result from oxidative stress. 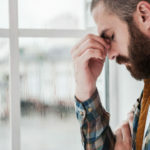 Oxidative stress is an imbalance in the body that can arise from many sources such as: inflammation, infection, obesity, toxins, processed foods, and even intense exercise. Oxidation is a normal and healthy immune mechanism in the body. It becomes detrimental when it occurs at too high of a level, generating a “stress” event. This oxidative stress is due to either too many free radical molecules produced or too little antioxidants in the body to help out (Burton, 2011). 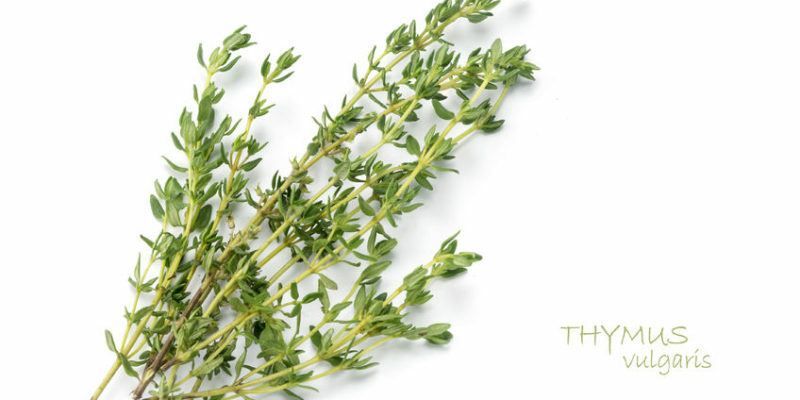 Thyme has been found to have the ability to “detox” or combat these harmful molecules and render them ineffective. In one study, it was revealed that both Thyme and Clove oils have some of the highest antioxidant activity when tested (Wang, 2017). The study concluded that Thyme borneol oil, a specific compound in Thyme, has the ability to be utilized as an antioxidant in functional foods due to its free-radical fighting power and antioxidant properties (Wang, 2017). Thyme extracts have also been studied as an alternative therapy in managing and preventing the many symptoms of Alzheimer’s disease due to the intrinsic neuroprotective properties of Thyme. 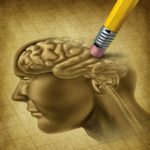 Neuroprotective compounds are important to prevent or delay hallmark pathologies associated with AD such as memory loss, loss of executive functioning and cognition. One study found that Rosemarinic Acid and Luteolin, two compounds found in Thyme and other related oils, exhibit neuroprotective effects by targeting key pathways (Ansari et al, 2011) involved in the regulation of inflammatory proteins, oxidative stress and memory formation. Proper regulation of these pathways is key to preventing neurodegenerative disorders. Chronic inflammation is known to be associated with the development and progression of diseases such as AD, cancer and CVD. Inflammation can interrupt or damage normal cell signaling pathways, tissue development and gene expression, all processes required for a healthy balance in the body. Thyme is known to have anti-inflammatory effects (Ismaili, 2004). One study found that when Thyme and Oregano oils were administered as dietary supplements to mice with colitis it was associated with a decrease in inflammatory cytokine (protein) generation suggesting the potential for use of these herbs as potent anti-inflammatory agents (Bukovska, 2007). In another study, Thyme was found to decrease inflammation by reducing both the gene expression and production of several inflammatory cytokine mediators (Ocana, 2012). Borneol, a compound found in Thyme, was also found to attenuate the concentration of inflammatory proteins in mice when given as a dietary supplement (Juhas, 2008). Thyme has been found to exhibit anti-fungal (Ramsewak, 2003) and anti-microbial (Oliveria, 2017) effects. A study that analyzed the results of Thyme on bacteria and yeast found that Thyme had very strong antimicrobial and antiseptic effects due to it’s high content of several key chemical compounds such as thymol, eugenol and luteolin (Nzeako, 2007). Interestingly, Thyme has been utilized for centuries in Moroccan folk medicine to be used as a treatment for many upper respiratory tract infections such as whooping cough and bronchitis (Bellakhdar, 1991), further elucidating its powerful ability to combat microbial infections. We add spices to just about every dish we eat. Salads, eggs, cooked veggies and all meat/seafood recipes. Just open the spice drawer and spice up your food. 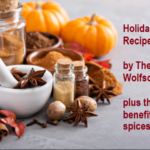 For other health benefits of spices, check out this post.